"A highrise condominium with a view of Manila Golf and Global City"
an inspiring feeling of pleasure… contentment of the view. Mark each precious moment right here. Where every detail is centered on your pleasure. Where life enthralls you. The Bellagio 3. Feast on natures masterpiece. The Manila golf course's priceless scenery, reserved for your viewing pleasure, is best enjoyed from the comfort of your home. Watch the play of light over an ever-changing palette of Zoysia-covered fairways. Admire nature's seamless artistry - from the shade trees to the pristine white sand and natural watercoursed - from your floor-to-ceiling windows. Get a glimpse of a golf tournament as it unfolds on the lush green at midday. With such beauty at your fingertips, you can face each day renewed and rejuvenated. At the Bellagio 3, you are part of the Forbes Town Center, which brings its residents an exclusive, half-kilometer-long stretch of golf course views. Luxury in lavish proportions. Let the Bellagio 3 lead you to luxury. This is the life in the realm of total comfort. This is life at The Bellagio 3. Space is a luxury one can enjoy at Bellagio 3’s lavish loft-type home. Executive studios are 58 to 69 square meters in size while one-bedroom units boast 92 to 106 square meters of living space. High floor-to-ceiling windows let you enjoy sweeping golf course views from your living room. At the second level, find the utmost comfort in your bedroom. For space efficiency, you can also use your bedroom as a storage room, den or study. The Bellagio 3's pool deck evokes images of beach sand and blue sea. lounge on a stretch of sugar-white, powder-fine synthetic sand that leads to the azure waters of the swimming pool. Enjoy a tropical resort experience right here, surrounded by a rich variety of lush plants and palm trees. Play and work at your leisure. At The Bellagio 3, vacations can be spent as soon as now and as often as every day. Right in the privacy and comfort of your home are resort-style amenities such as a swimming pool and children’s wading pool with a white-sand-beach-inspired pool deck, changing rooms with sauna, gym and children’s play area. For the ultimate spa experience, an Aromatherm Capsule is on hand. Combining four functions in one exceptionally designed facility, the Aromatherm Capsule offers Hydrotherapy Tub, Wet Table, Steam and Vichy Shower services. A music / piano room is also provided for your listening pleasure. Host business and social events at your leisure and without ever leaving home. A function room is readily available, so you can hold parties and get-togethers or conduct a meeting, presentation or training with ease. And while you're at it, let the day care center attend to the needs of your kids. A menu of thrills right next door. The Forbes Town Road. An entire strip where fashion connoisseurs and serious gastronomes meet. Where chic boutiques of global brands mingle with a wealth of the finest East and West cuisines. And where languid al fresco feasts turn into vibrant street parties at night. Whether for a reflective moment or a lively adventure, this is the place to see and be seen. And it’s just a few strides away from your home at the Bellagio 3. A world-class city at your feet. The Global City. The seat of the country’s emerging economic engines: Net One, e-Square IT Park and the McKinley Business Park. The neighborhood of prominent landmarks: Manila Polo Club, Forbes Park and the upcoming St. Luke’s Medical Center. The cradle of state-of-the-art infrastructures: efficient road network, public transportation, security and power and water supply systems. The center of cosmopolitan chic and energy: The Fort, Par 43 Mini-Golf, NBC Tent and Adidas Sports Kamp. And now, the setting of your new, cutting-edge lifestyle. Welcome to The Bellagio 3, your domain in a world-class city. A matchless mobile lifestyle. Whatever your pace, the Global City’s highly efficient road network lets you arrive at your destination with ease. The strategic location of The Bellagio 3 in the Global City makes it an ideal home for urban professionals. 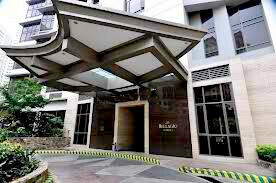 The Makati and Ortigas business districts are a short drive away via the EDSA Kalayaan flyover, McKinley Road or C-5 Road. C-5 Road’s recently opened Sampaguita West Ramps 1 and 2 and Collector Distribution (CD) Road bring within easy reach the southwest are of the Global City, as well as Taguig, Pateros, Pasig, Quezon City, Parañaque and Southern Metro Manila. Within the Global City, McKinley Business Park, e-Square IT Park and Net One are but a short distance away. So are the American, British and Japanese international schools. Sports Kamp, Par 43 Mini-Golf, NBC Tent, PriceSmart Membership Shopping, Metro Market! Market!, MC Home Depot and an upcoming facility of St. Luke’s Medical Center. An environment for learning excellence. Develop your children’s capabilities in a secure, world-class educational environment located right inside the Global City. The British School Manila, the Manila Japanese School and the International School Manila offer topnotch education from a unique multicultural standpoint. Also nearby are Assumption College, Colegio de San Agustin, Colegio de Sta. Rosa, Don Bosco and the Asian Institute of Management, local bastions of educational excellence that provide first-rate training to students. At The Bellagio 3, the road to learning is never far away.